Abstract: The research project concerns the analysis of the methodological conceptions elaborated and encouraged within the Royal Academy of Science and Belles Letters of Prussia in Berlin between 1746-1764. We wish to inquire into the developments of different philosophical currents (represented in the “speculative philosophy” class) through which the Newtonian doctrine, empiricism and generally speaking, the English and French doctrines enter the intellectual milieu, are combined with Leibnizianism and finally clash with the powerful German mathematics-infused rationalism. The main question may be summarized as follows: Can the mathematical method (also referred to as synthetic or demonstrative) be properly adapted to philosophy and could it be applied to all areas of philosophy, including metaphysics and ethics? Dr. Tinca Prunea (Principal Investigator) is researcher at the University of Bucharest and at IHRIM, ENS Lyon. She was élève étrangère of the ENS Paris and has a PhD of the University Paris IV-Sorbonne (2011). She was the recipient of two post-doctoral fellowships, at the New Europe College, Bucharest (2014-2015) and at the IZEA, Halle (2015). Her research primarily focuses on Kant and the German Enlightenment as well as on Kant’s reception in the 20th century. She is co-editor of Kant et Wolff: Héritages et Ruptures (Paris: Vrin, 2011). Dr. Sorin Costreie (Postdoctoral Researcher, until February 2017) is Senior Lecturer at the Philosophy Department, University of Bucharest. His areas of specialization are: philosophy of language, philosophy of mathematics, philosophical logic (especially early analytic and Leibniz). His recent publications include an authored book (Fregean Studies, University of Bucharest Press, 2015), an edited volume on analytic philosophy (Early Analytic Philosophy. New Perspectives on Tradition, Springer, 2016) and a co-edited volume on Meaning and Truth (Bucharest: ProUniversitaria, 2015). Dr. Paola Basso (Postdoctoral Researcher, starting January 2017): After a PhD in Philosophy (Scuola Normale Superiore di Pisa, 2001), she was awarded a 4-year Research Fellowship at the Philosophy Department of the University of Milan (2002-2006). In 2014 she obtained the National Eligibility for Associate Professorship in History of Philosophy. Her research focuses on the foundation of philosophy as a science in the 18th century, particularly via Lambert and the Prize question of the Berlin Academy for the year 1763 about geometrical evidence in metaphysics. Among her publications are Lambert interprete di Euclide (1999), Il secolo geometrico (2004), The Other Side of Euclid (2012). She is a contributor to the Dictionary of Eighteenth-Century German Philosophers (2010) and the editor of the upcoming Über die Deutlichkeit. Die Preisfrage der Preußischen Akademie für 1763. Remus Manoilă (Doctoral Student) is a PhD candidate at the University of Bucharest. His doctoral thesis is entitled “The concept of dominion and its implications in Isaac Newton’s thought: an Intellectual History research”. He is analysing the relationship between natural philosophy and theology in Isaac Newton’s works on a historical, philosophical and theological ground, while also investigating the reception of Newtonian thought in the eighteenth century. Between June 2014 and September 2015 Remus was a research Fellow of the Romanian Academy. He spent two terms as a visiting student at the University of Cambridge between April and May 2015 (HPS Department), and November and December 2015 (Faculty of History). Vlad Dolghi (Doctoral Student) is a PhD candidate at the University of Bucharest. After studies in sociology and computer science and an MA in the philosophy of science, Vlad Dolghi is preparing a PhD on “Newton’s laws of motion from the standpoint of scientific structuralism”. His doctoral dissertation analyzes the structural unity of Newton’s laws, on the one hand, and the interdependence of structure and ontology, i.e. the relationship between the mathematical and empirical underpinnings of Newtonian physics and their metaphysical background, on the other. He is particularly interested in the works of several key 18th-century scientists and natural philosophers associated with the Berlin Academy (Maupertuis, Euler, Lagrange). Tinca Prunea-Bretonnet, “Physics and metaphysics in Maupertuis”, Bucharest Colloquium in Early Modern Science, University of Bucharest, November 6-7, 2015. Tinca Prunea-Bretonnet, “L’unité de la raison en question : philosophie et mathématique chez Maupertuis et Kant”, International Conference Philosophy and Science : Unity and Plurality in the Early Modern Age, Szeged, Hungary, November 19-21, 2015. Tinca Prunea-Bretonnet, “Peut-on encore sauver la science première? L’Académie de Berlin et le sort de la métaphysique”, Journée d’étude La métaphysique en Allemagne au XVIIIème siècle. Wolff et l’Académie de Berlin, CERPHI/IHRIM, Paris, December 12, 2015. Invited speaker: Falk Wunderlich (Martin-Luther-Universität Halle-Wittenberg), Thinking matter in Germany, 1770-1790; Faculty of Philosophy, University of Bucharest, March 3, 2016. Tinca Prunea-Bretonnet, “Evidence, certainty, consent. Rethinking central methodological notions within the Berlin Academy”, CELFIS, University of Bucharest, March 23, 2016. Remus Manoila and Bogdan Deznan, “Deitas dominatio Dei est: The concept of dominium in Newton’s General Scholium“, International Workshop Early Modern Intersections. Science, Experiments, Methodologies, University Vasile Goldis, Arad, April 18, 2016. Tinca Prunea-Bretonnet, “Wolff, metaphysics, and the Foundations of Physics”, International Workshop Early Modern Intersections. Science, Experiments, Methodologies, University Vasile Goldis, Arad, April 18, 2016. Tinca Prunea-Bretonnet, “Between Maupertuis and Wolff: Kant on cosmology and metaphysics in the 1750s”, Leuven Kant Conference, Leuven University, June 2-3, 2016. Speculative and Experimental Philosophy at the Berlin Academy, International Workshop – IRH-ICUB and New Europe College, Bucharest, June 21-22, 2016. Sorin Costreie, “Wolff’s reception and dissemination of Leibniz”, Workshop Speculative and Experimental Philosophy at the Berlin Academy, Bucharest, June 21-22, 2016. Tinca Prunea-Bretonnet, “From experience to metaphysics: Merian and eclectic philosophy”, Workshop Speculative and Experimental Philosophy at the Berlin Academy, Bucharest, June 21-22, 2016. Tinca Prunea-Bretonnet, “Sulzer über die Fortschritte der Philosophie oder der Einfluss Wolffs innerhalb der Berliner Akademie”, Internationales Workshop Johann Georg Sulzer : Aufklärung im Umbruch, IZEA Halle (Saale), June 30-July 1, 2016. Sorin Costreie, “How Leibnizian was Leibniz or the reception of Leibniz through some Leibnizians like Christian Wolff”, 10th International Leibniz Congress, Hannover, July 18-23, 2016. Tinca Prunea-Bretonnet, “Émilie du Châtelet et la réception de la métaphysique leibnizienne à la fin des années 1730”, 10th International Leibniz Congress, Hannover, July 18-23, 2016. Call for Abstracts: Conference Conceptions of Experience in the German Enlightenment between Wolff and Kant, University of Leuven, Belgium, February 24-25, 2017; convenors: Karin de Boer and Tinca Prunea-Bretonnet. Deadline: October 15. Remus Manoila, “Issac Newton’s ‘God of dominion’: philosophical and theological implications”, Institute for Orthodox Christian Studies, Cambridge, September 14, 2016. Tinca Prunea-Bretonnet, “Kant and Maupertuis on the necessity of the laws of nature”, CELFIS, University of Bucharest, December 7, 2016. Conference Conceptions of Experience in the German Enlightenment between Wolff and Kant; Leuven, February 24-25; convenors: K. de Boer and T. Prunea-Bretonnet. Keynote speakers: Christian Leduc (Montreal), Arnaud Pelletier (Brussels), Anne-Lise Rey (Lille), Udo Thiel (Graz). Tinca Prunea-Bretonnet, “Merian on experience and natural philosophy”, Conference Conceptions of Experience, Leuven, February 24-25. Tinca Prunea-Bretonnet, “Garve über die Nützlichkeit der Akademien: Kann man 1788 noch über eine akademische Philosophie sprechen?”, Internationale Tagung Christian Garve (1742-1798): Philosoph und Philologe der Aufklärung, LMU Munich, March 16-18. Vlad Dolghi, “The role of mathematics in Maupertuis’ epistemology and natural philosophy”, Bucharest Graduate Conference, March 31-April 1. Remus Manoila, “The fall of Monarchy: Isaac Newton’s reading of Tertullian”, Bucharest Graduate Conference, March 31-April 1. Tinca Prunea-Bretonnet, “Mathematics and its role in philosophy: The controversies on method in the German Enlightenment”, Bucharest Graduate Conference. Tinca Prunea-Bretonnet, “Emilie du Châtelet and Christian Wolff on the connubium between reason and experience”, Conference Epoque Emilienne. Philosophy and Science 1700-1750, Paderborn, April 5-7. Vlad Dolghi, “The role of mathematics in Maupertuis’ epistemology and natural philosophy”, International Conference Scientiae: Disciplines of Knowing in the Early Modern Europe, Padua, April 19-22. Remus Manoila, “The Fall of Monarchy: Isaac Newton’s Reading of Tertullian”, International Conference Scientiae: Disciplines of Knowing in the Early Modern World, Padua, April 19-22. Tinca Prunea-Bretonnet, “Newton et la cosmologie kantienne en 1755”, Conference Kant et les penseurs de langue anglaise, Luxemburg, April 20-22. Tinca Prunea-Bretonnet, “From mysticism to metaphysics: Kant and his critics in the last decades of the 19th century”, VII. Multilaterales Kant-Kolloquium Kant und seine Kritiker, Halle, April 28-30. Philosophical Controversies and Preisfragen: Shaping the Enlightenment between Wolff and Kant, May 18-19. Confirmed speakers: Paola Basso (Univ. of Bucharest), Karin de Boer (Univ. of Leuven), Vlad Dolghi (Univ. of Bucharest), Daniel Dumouchel (Univ. de Montréal), Corey Dyck (Western Ontario), Matteo Favaretti Camposampiero (Univ. of Venice), Ursula Goldenbaum (Emory Univ. ), Sophie Grapotte (IHRIM/ENS Lyon), Norbert Hinske (Univ. of Trier), Christian Leduc (Univ. de Montréal), Alessandro Nannini (Univ. of Jena), Elena Partene (ENS Paris), Tinca Prunea-Bretonnet (Univ. of Bucharest), Andrea Reichenberger (Univ. of Paderborn). Paola Basso, “Geometry and Theology: The Climax of the Battle for the ‘Primacy for Certainty’ during the Preisfrage for 1763”, Philosophical Controversies and Preisfragen: Shaping the Enlightenment between Wolff and Kant, May 18-19. Vlad Dolghi, “Maupertuis on the Laws of Nature”, Philosophical Controversies and Preisfragen: Shaping the Enlightenment between Wolff and Kant, May 18-19. 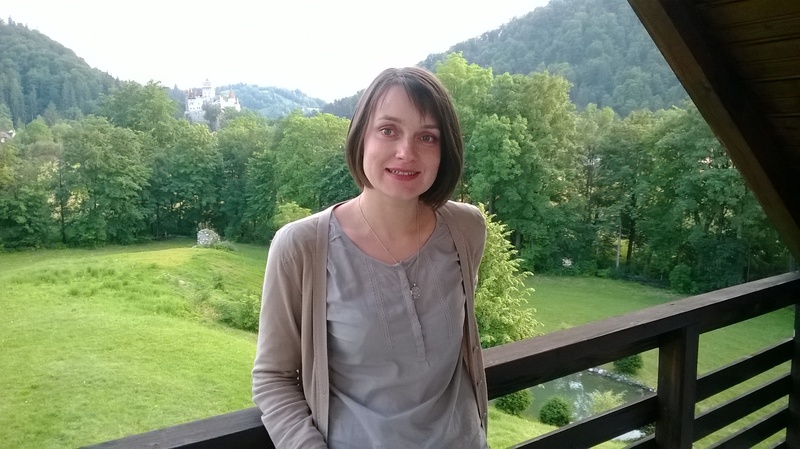 Tinca Prunea-Bretonnet, “Metaphysics in the Kantian Age: Progress or Decline?”, Philosophical Controversies and Preisfragen: Shaping the Enlightenment between Wolff and Kant, May 18-19. Remus Manoila, “The Fall of Monarchy: Isaac Newton’s Reading of Tertullian”, ISIH 2017 Conference: The Rethinking of Religious Belief in the Making of Modernity, Blagoevgrad, Bulgaria, May 30 – June 1. Tinca Prunea-Bretonnet, “‘Un dessin marqué dans la fabrique du monde’: la téléologie dans les Institutions de physique“, Journée d’études Leibniz et la téléologie, Montréal, September 15. Journal of Early Modern Studies 5.1, Spring 2016, Bucharest. Editors: Vlad Alexandrescu, Tinca Prunea-Bretonnet. The issue is published with acknowledged support from UEFISCDI research grant 352/2015. Sorin Costreie, “On the Leibnizian Principle of Continuity”, in Wenchao Li et al. (Hgg. ), Für unser Glück oder das Glück Anderer, Vorträge des X. Internationalen Leibniz-Kongresses, Bd. 6-7, Hildesheim: Olms, 2017. Tinca Prunea-Bretonnet, “L’entrée dans le corpus kantien par les leçons de logique”, in J.-F. Goubet (dir. ), Kant et l’éducation, Arras, 2016. Tinca Prunea-Bretonnet, “Emilie, Friedrich der Grosse und die ‘Leibniz-Wolffsche’ Metaphysik”, in R. Hagengruber und H. Hecht (Hgg. ), Emilie du Châtelet und die deutsche Aufklärung, Berlin: Springer (forthcoming, 2018). Tinca Prunea-Bretonnet, “Wissenschaft und Philosophie im Kurzen Begriff oder das Erbe Wolffs innerhalb der Berliner Akademie”, in E. Décultot (Hg. ), Johann Georg Sulzer: Aufklärung im Umbruch, Hallesche Beiträge zur Europäischen Aufklärung, Berlin/Boston: Walter de Gruyter, 2018. Tinca Prunea-Bretonnet, “Kant et Mendelssohn sur la question ‘Qu’est-ce que les Lumières? '”, in M. Ruffing et al. (dir. ), L’année 1784: droit et philosophie de l’histoire, Paris: Vrin, 2017. Tinca Prunea-Bretonnet, “Newton et la cosmologie kantienne en 1755”, in L. Sosoe et al., Kant et les penseurs de langue anglaise, Paris: Vrin, 2017. Remus Manoila, “Theological Implications of the Concept of Dominion in Isaac Newton’s Thought”, Society and Politics, 11.1/2017, 68-83. Vlad Dolghi, “The Role of Mathematics in Maupertuis’ Epistemology and Natural Philosophy”, Society and Politics, 11.1/2017, 26-45. Regular internal seminars on the project topic. Regular translation seminars on Kant’s Preisschrift for 1763, Inquiry Concerning the Distinctness of the Principles of Natural Theology and Morality. Bucharest Princeton Seminar in Early Modern Philosophy (16th edition), Alba-Iulia, July 12-16, 2016. Participants: Vlad Dolghi, Remus Manoila.